This story originally appeared in the July/August 2018 edition of The Chicago Birder, COS's quarterly member newsletter. For more information about this, other membership benefits, and ways your support makes our work like the following possible, take a look at our membership page. As we know, birders love to share. We share neat sightings with our family, we share cool bird facts with co-workers, and we share bird shenanigans with each other. But perhaps the best audience to share our love of birds with is with the next generation. Every now and then, a teacher will reach out to us asking for help leading a bird walk. How can we refuse? The most recent example of this is when teachers at Bernard Zell Day School wanted to bring their 3rd grade class out to Montrose Point. Being an all-volunteer run organization, there isn’t exactly a person on call for such things, but it doesn’t take long once the word is out for a few souls to step up. Luckily, Geoff Williamson, Carl Giometti, Stephanie Beilke, Kurtis Himmler, and Edward Warden were more than happy to take the time out of their day on April 30th to make this trip happen. Breaking up into smaller groups with each team getting a bird name, the kids spread across the park in search of birds. It was apparent from the beginning that these kids were not messing around. Practically chomping at the bit, many of them had been practicing how to use binoculars for nearly a week. All of them came out with classroom made field guides and were eager to find the field marks that distinguished one bird from the next. 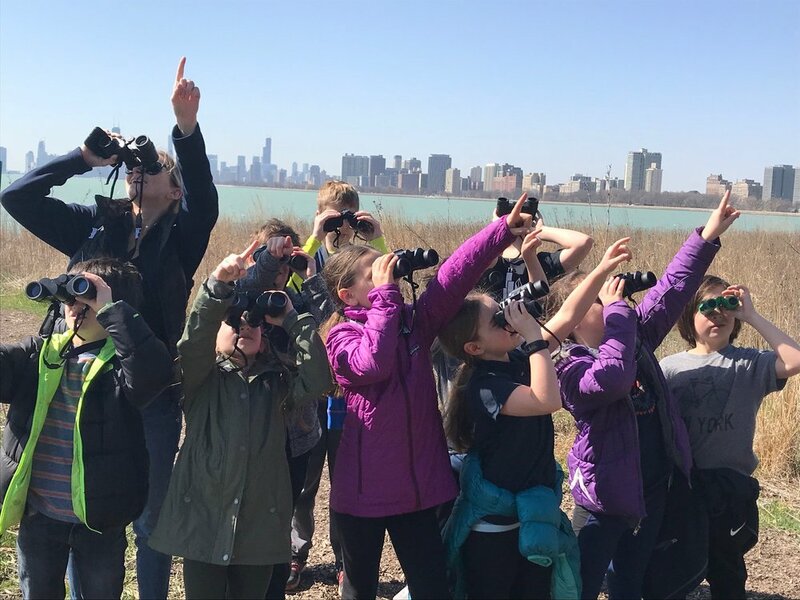 They laughed at the rapidly moving feet of a Spotted Sandpiper, were awe-struck by a fearless Red-tailed Hawk, and enthralled by the striking plumage of a Red-winged Blackbird. By the end of a nearly 3 hour birding session, it was time to part ways. Even so, there were nothing but smiling faces, high fives, and a still continuous stream of questions. Everyone got to see amazingly cooperative birds on a beautiful day. 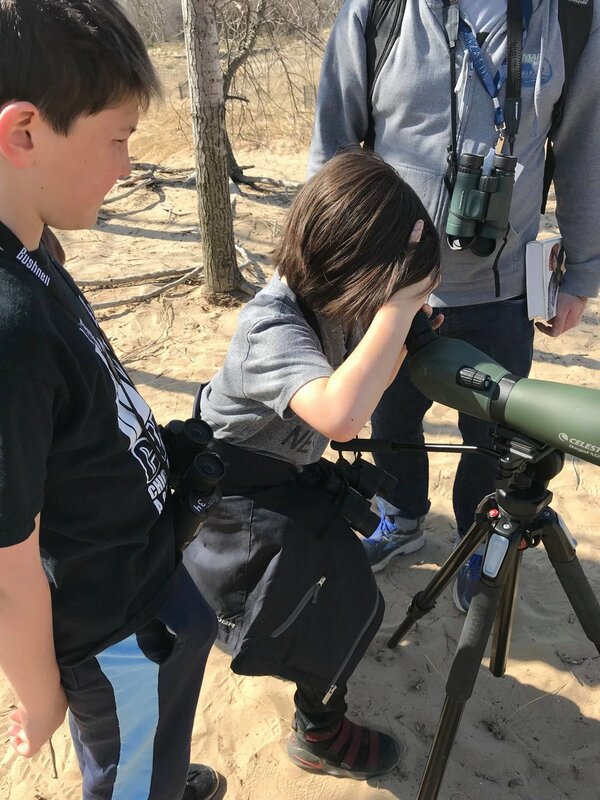 These are the kind of positive and memorable experiences that create life-long conservationists and birders and we’re not just talking about the kids.